whiskerDocs announces that Family Dollar now offers 24 hour a day guidance for pet parents across the U.S. via phone, chat and email on the FamilyDollar.com website. whiskerDocs, the nation’s leading provider of 24/7 veterinary telehealth services, is pleased to announce a new program with Family Dollar Stores, Inc. Through this retail partnership, Family Dollar customers can enjoy discounted rates for interactions with the whiskerDocs team of veterinary experts. whiskerDocs has been providing services to pet parents with emergency, wellness, and behavioral questions via direct membership enrollments and business-to-business partnerships since 2014. Their ground-breaking decision support protocols and self-service tools provide pet owners with the same services they’ve come to expect for their human healthcare needs. Family Dollar’s customers care deeply about their pets, like every pet parent. Many areas that Family Dollar serves are smaller communities that may not have access to the same veterinary resources that urban areas provide. By bringing virtual veterinary support to the Family Dollar community, pet parents in rural communities as well as more urban areas now have access to the support they need when they need it the most. Common pet issues include foreign body and potential toxic ingestions, seemingly minor injuries, and vague symptoms of illness, like diarrhea and vomiting. 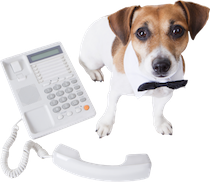 Most pet owners know that a call to ask a local veterinarian about their pet’s health will likely result in the need to make an appointment, even if it may not be necessary. Unfortunately, this means that people will often avoid seeking help or advice during an illness or injury, which could lead to a greater expense down the road and could even put the pet’s life in jeopardy. This new collaborative effort with whiskerDocs will allow Family Dollar customers to more accurately assess their pets’ condition at home and make timely, educated decisions regarding their pet’s health and wellness. Perhaps even more importantly, reliable, unbiased guidance will have customers feeling reassured that any expenses incurred were worthwhile.